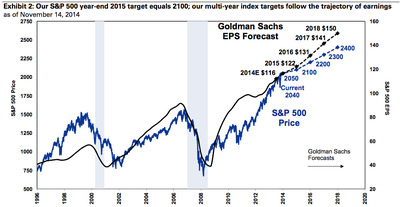 Goldman Sachs equity strategist David Kostin is out with his 2015 outlook for the S&P 500. But, despite these positive economic developments, Kostin sees volatility in the stock market remaining low, keeping stock return dispersion, or how widely spread gains and losses will be spread across the universe of stocks, low in 2015. Kostin says that mutual funds and hedge funds typically lag the S&P 500 during low dispersion regimes. Kostin adds that the multiple expansion phase of the current bull market, or when stock prices rose as investors were comfortable paying more, on average, for additional earnings per share, ended in 2013, with this year’s ~10% return for the S&P 500 just keeping pace with earnings growth. In 2015, Kostin expects stocks to continue their upward trajectory during the first half of the year, with price-to-earnings ratios, or multiples, contracting in the second half of the year as the Fed begins to raise interest rates. 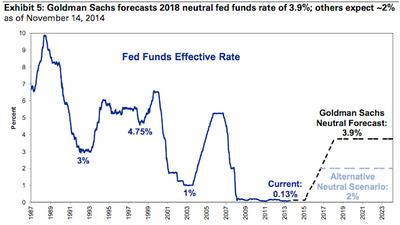 Goldman Sachs’ economics team expects the Fed’s first rate hike to come in the third quarter of next year. 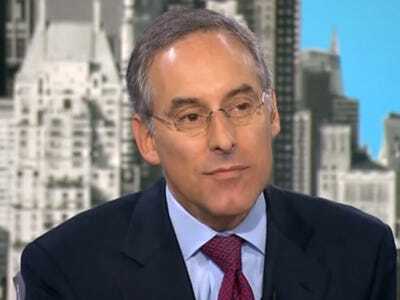 The reaction to these rate hikes, however, is expected to be benign, and Kostin acknowledges that this might be a minority view. And so while 2015 could be a transformative year for the market if interest rate hikes from the Fed really do materialise, Kostin expects the market to take these increases in stride. 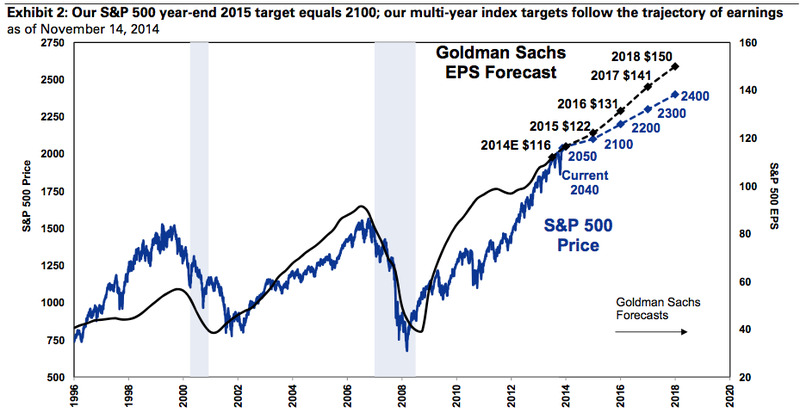 Here’s the chart of the Goldman’s outlook for the S&P 500. 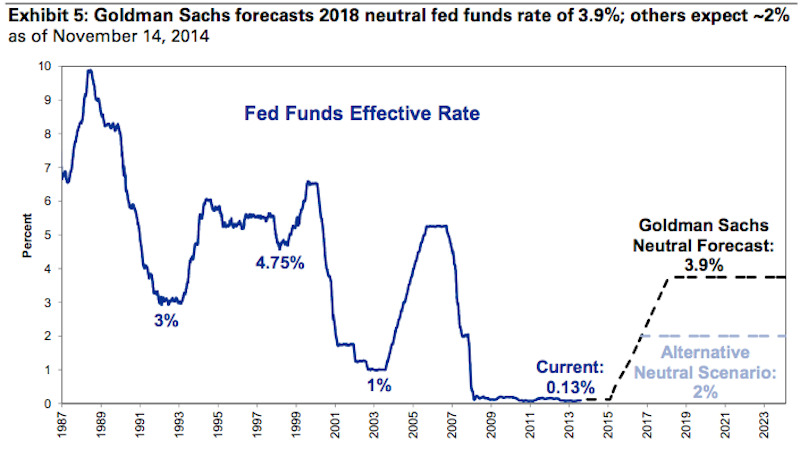 And the outlook for interest rates.